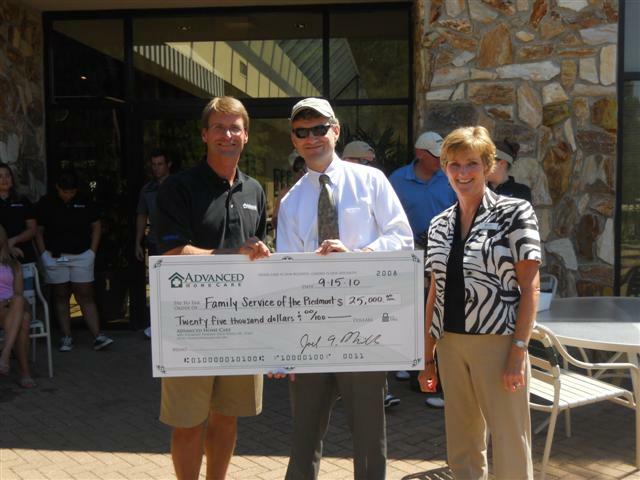 (Greensboro, NC, September 16, 2010) Advanced Home Care, a Triad-based home health care provider, hosted its 17th Annual Charity Golf Tournament on Wednesday, September 15, 2010 at the Champion’s Course in Bryan Park in Greensboro. 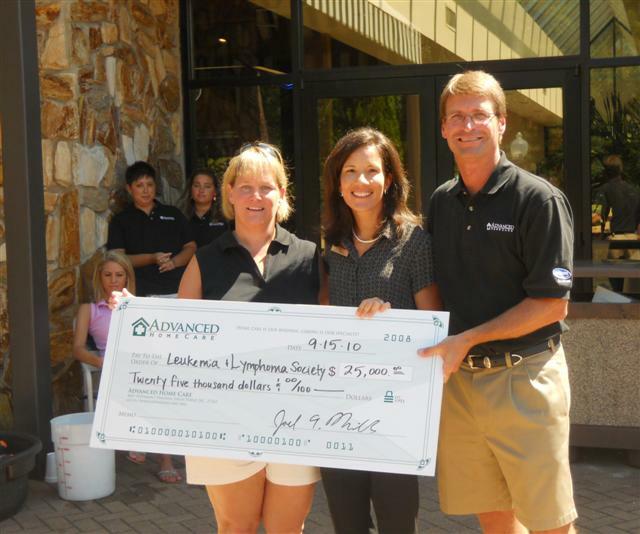 The proceeds of the event benefit two charitable organizations within Advanced Home Care’s service areas in the Triad and the Charlotte market – Family Service of the Piedmont and The Leukemia and Lymphoma Society, North Carolina Chapter. Family Service of the Piedmont is the largest private nonprofit agency serving children and families in Guilford County. The agency is focused on building safe and healthy families and strong communities through counseling, victim services, prevention and community services. The Leukemia and Lymphoma Society is the world’s largest voluntary health organization dedicated to funding blood cancer research, education and patient services. The organization’s mission is to cure leukemia, lymphoma, Hodgkin’s disease and myeloma, and improve the quality of life of patients and their families. An impressive $29,000 was donated by Advanced Home Care to each of these local charities, totaling $58,000 in contributions.